Though the Enlightenment was a time of amazing scientific change, science is an often-neglected facet of that time. 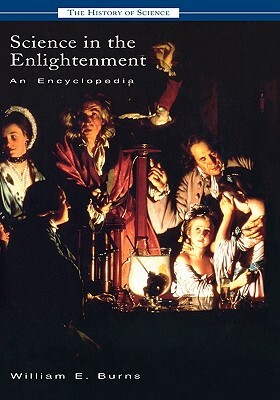 Now, Science in the Enlightenment redresses the balance by covering all the major scientific developments in the period between Newton's discoveries in the late 1600s to the early 1800s of Michael Faraday and Georges Cuvier. Over 200 A-Z entries explore a range of disciplines, including astronomy and medicine, scientists such as Sir Humphry Davy and Benjamin Franklin, and instruments such as the telescope and calorimeter. Emphasis is placed on the role of women, and proper attention is given to the shifts in the worldview brought about by Newtonian physics, Antoine-Laurent Lavoisier's "chemical revolution," and universal systems of botanical and zoological classification. Moreover, the social impact of science is explored, as well as the ways in which the work of scientists influenced the thinking of philosophers such as Voltaire and Denis Diderot and the writers and artists of the romantic movement. William Earl Burns is a professional historian living in Washington, D.C. He is the author of ABC-CLIO's The Scientific Revolution and has written articles for the ABC-CLIO World History website.